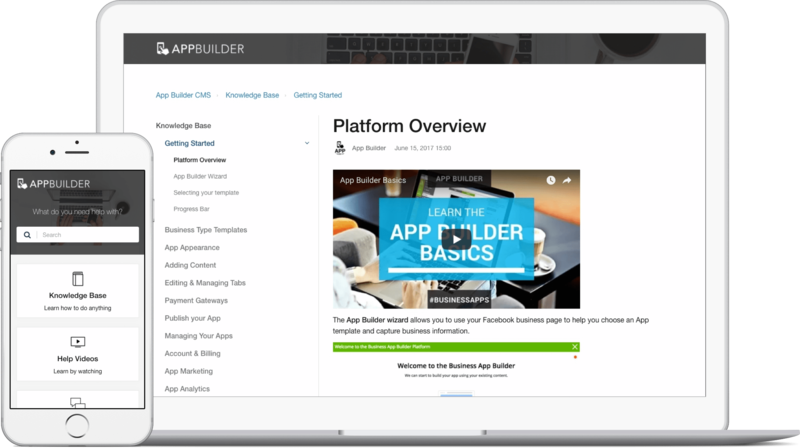 App Builder is a product of AppInstitute, a mobile app platform that allows businesses and individuals with little to no prior technical knowledge to create their own app. App Builder wanted a bold, yet intuitive and snazzy Zendesk theme. They had a clear picture of what their help center should look like, from the layout to additional customizations in functionality. Zendesk was perfect in all respects except customizable design that would meet App Builder’s intricate needs. As an authorized Zendesk solution provider that knows the ins and outs of Zendesk architecture, we were glad to accept the challenge. First of all, we changed colors of the Help Center with a neutral black and white scheme, changed the logo and added an appropriate image to the header. The second part of our work was even more compelling and challenging. 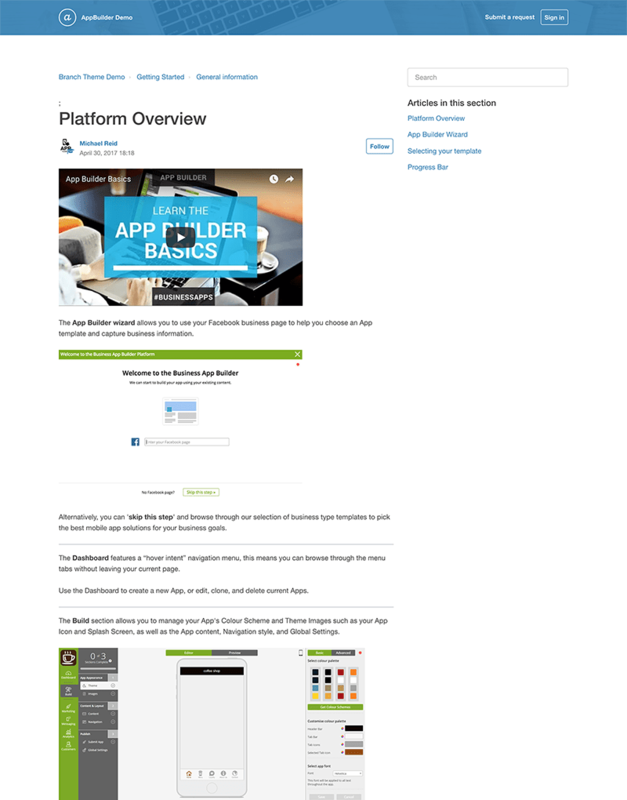 To customize the look and feel of App Builder’s help center we made significant layout changes for the Branch theme (section boxes, sidebar navigation), removed some user interaction links, and created a guide script which retrieves all sections and articles using Zendesk API (not provided by Zendesk by default). All these changes allowed much easier navigation through the Help Center content. We created a customized demo Help Center that met every single requirement. After App Builder tested all the changes and everything was agreed, we installed the modified theme into the Help Center.